are made from the freshest produce and crafted to perfection. Our mission is to make healthy eating a habit everyone can adopt! As our tag line says we are…. Just went this morning for the first time, staff was super informative and friendly. I got the almond butter cup smoothie... the best smoothie I've ever had. I am still full 3 hours later! Will definitely be a regular! I love this place so much!! Their Acai bowls are so delicious and their matcha lemon aid juice is really good! Everything is so clean & healthy. Having Pure Raw Juice in the local community is a BLESSING. I love being able to eat anything on the menu and know it's the healthiest meal I can find in Baltimore. Here’s our Top 8 most popular items on our menu. So whether you’re coming in for your first time or looking to try something new, this is a great place to start! Base is acai, banana and apple juice... topped with granola, strawberries, blueberries, banana, coconut shavings, and honey. Base is pitaya, banana and apple juice... topped with granola, blueberries, mango and bee pollen. We make sure the best, healthiest and most nutritious ingredients are incorporated into all of our menu items; Superfoods, Fruits, Vegetables, and organic ingredients all served with a smile. 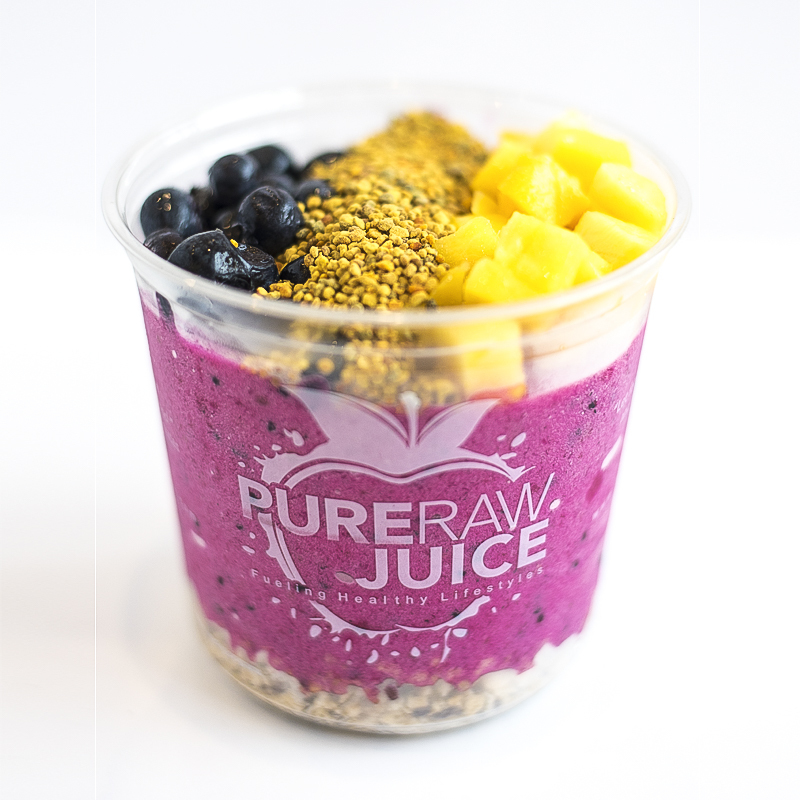 From Brazilian Acai to Asian Pitaya, our bowls will give you the taste of traveling the world. You'll love our Cold-Pressed, No HPP juice blends! Liquid nutrition your body can absorb in just minutes! 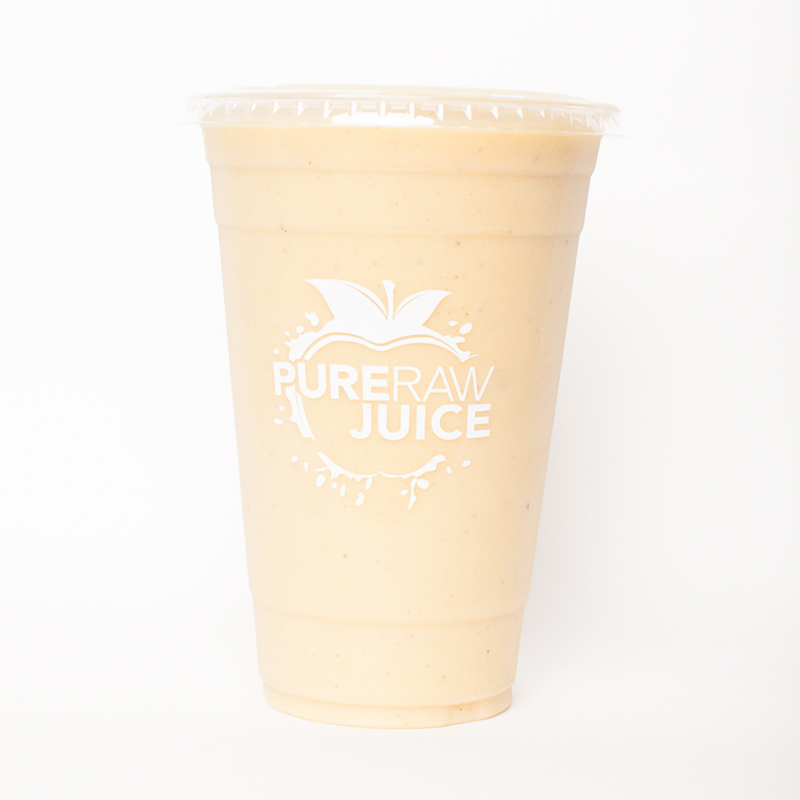 Whether it's a post gym protein smoothie or blast of nutrition in a cup, our smoothies hook it up! So when you’re at work or school and you only have a few minutes to eat and return to your job or to class, fast food & processed food becomes the popular option. This is making us overweight, sick and tired more and more every day. So what’s the solution? Eating REAL food. Eating fruits, vegetables, superfoods, staying well hydrated, getting plenty of exercise, etc. We’re so passionate about Pure Raw Juice because more and more people every day are taking control of their health and making big changes. We’re here to provide you healthy food on the go so you can have clean fuel to create your healthy lifestyle. 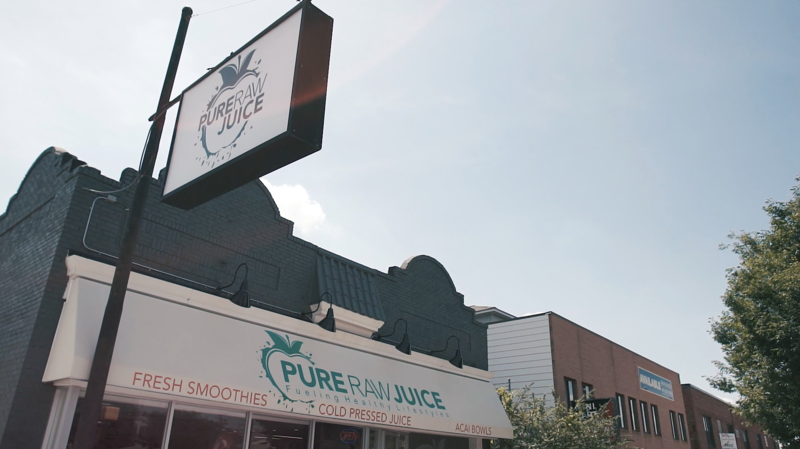 We currently own & operate two Pure Raw Juice locations in Baltimore — Towson and Federal Hill. 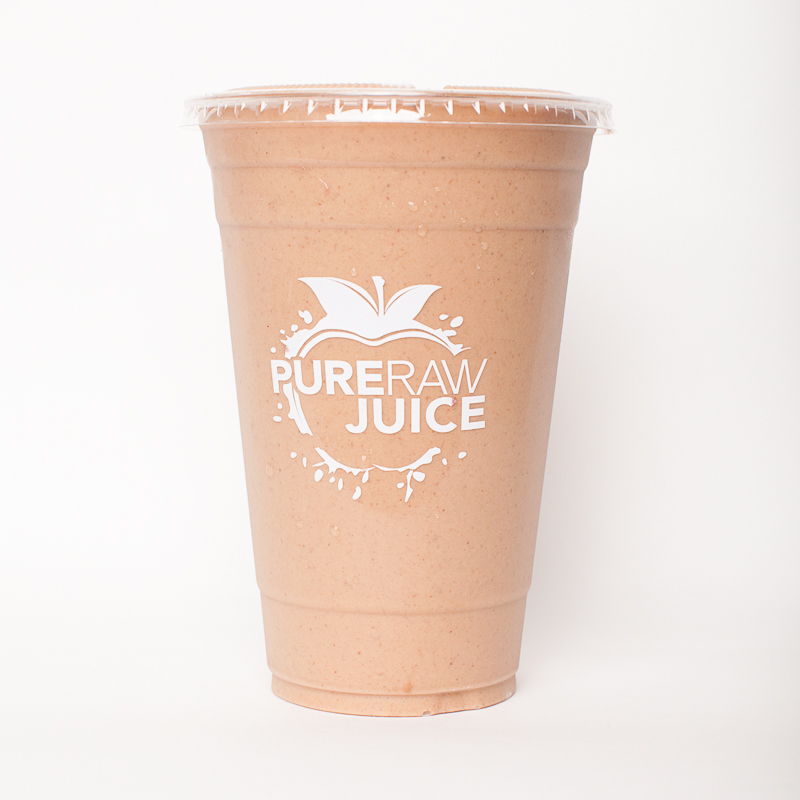 With a huge demand on healthy food on the go, we are making the Pure Raw Juice products and custom experience as great as we possibly can before expanding our brand. With all of your amazing support over the years, we are proud to continue to serve you, learn and grow each day. 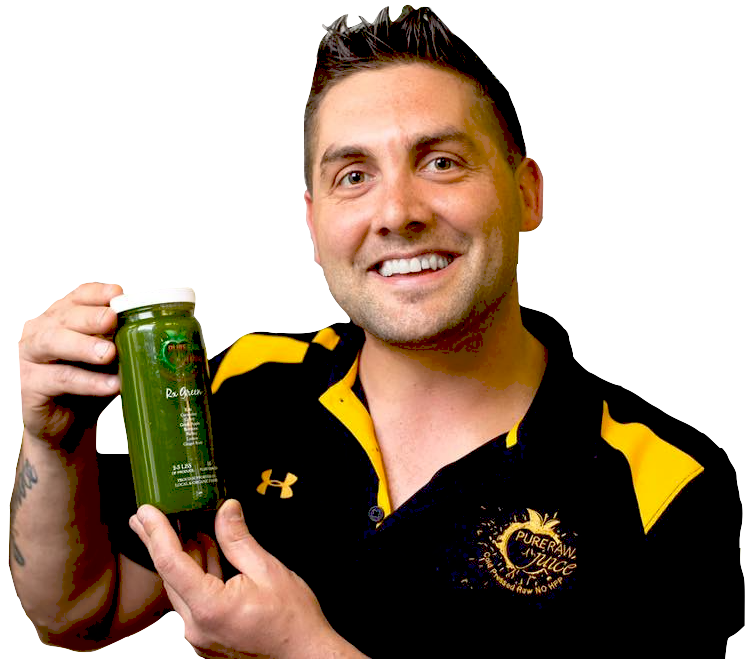 Our superior cold-pressed technique allows us to extract a greater nutrient content from fruits and vegetables than any other juicing method. The hydraulic press operates at a very low temperature with minimal mixing of air. This process allows live enzymes to stay alive, along with vitamins, and trace minerals which, results in a superior product. 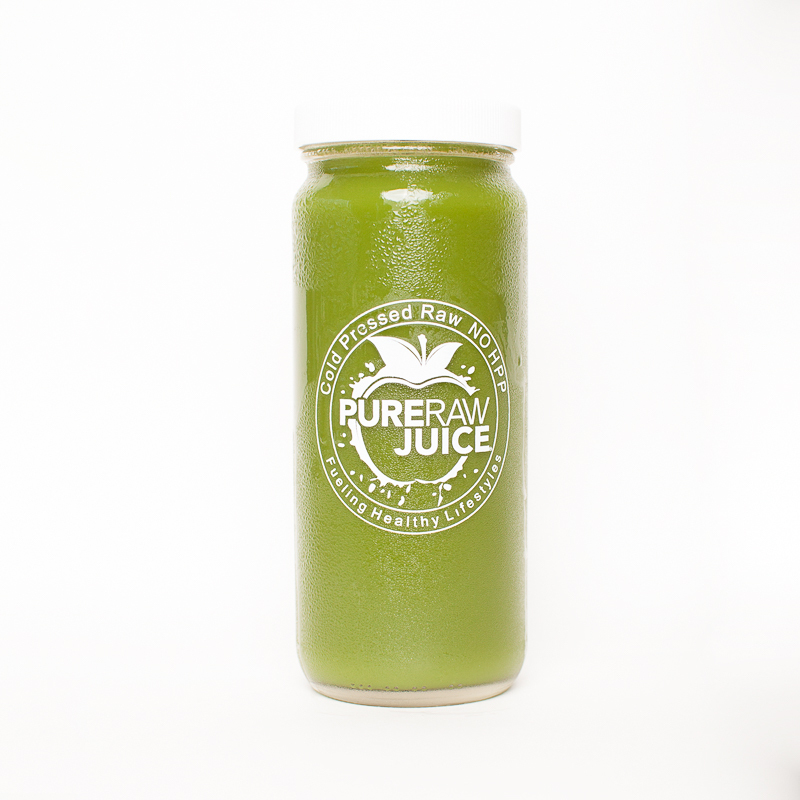 Each of our juices contain 2-3 lbs. of vegetables & fruits which is a concentrated dose of nutrients that is used as instant energy because your body doesn’t need to digest it. Why Did Your Towson Hours Change? 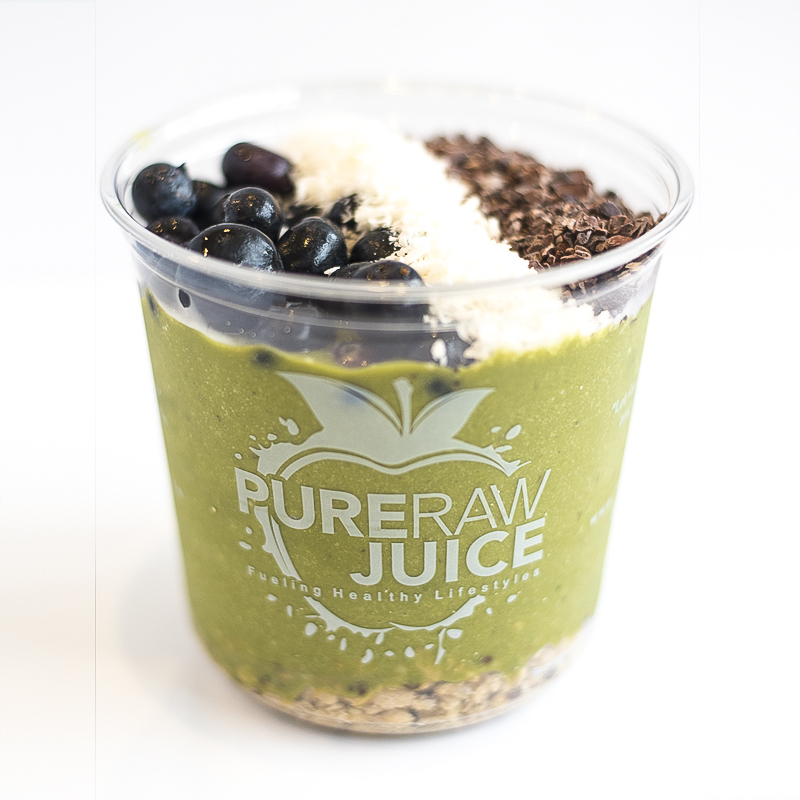 At Pure Raw Juice, we believe in fueling you with the healthiest products available so you can go on to live a healthy lifestyle. We are also very passionate about providing our customers with the best in-store experience. 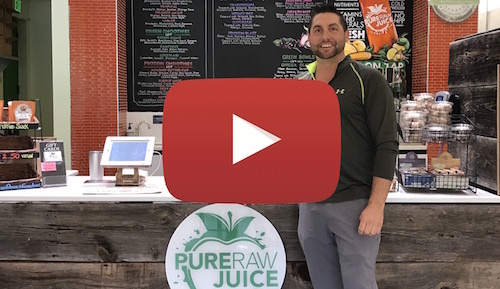 Due to our fast growth and high quality standards, we have hired more team members and are training them efficiently so we can continue to provide you a wonderful experience at Pure Raw Juice. We currently have adjusted hours in our Towson location (10:30AM-7PM, Mon-Fri & 8AM-5PM, Sat-Sun) to do just that. Thank you for your continued support and for your patience! Both a basic donut and an avocado both weigh in at around 200 calories, BUT the nutritional value of a donut doesn’t even compare to the avocado. So with this being said, at this time, we don’t have the calorie count on our products, but we can assure you that everything on our menu will reward your body with the delicious nutrition that it deserves. Superfoods have extra-large doses of vitamins and minerals that can help us ward off diseases and live a longer, healthier life. We love adding superfoods like chlorella, spirulina, hemp seeds, raw cacao, etc. into our products because it gives that extra blast of nutrition and in some cases, an extra sweet or delicious natural flavor. Whether you are living clean and green or are a fast-food junkie, you can benefit from a juice cleanse. Just think about it. You are bombarded by toxins. They are in the water your drink, the food you eat, the air you breathe. They are inside all of us! 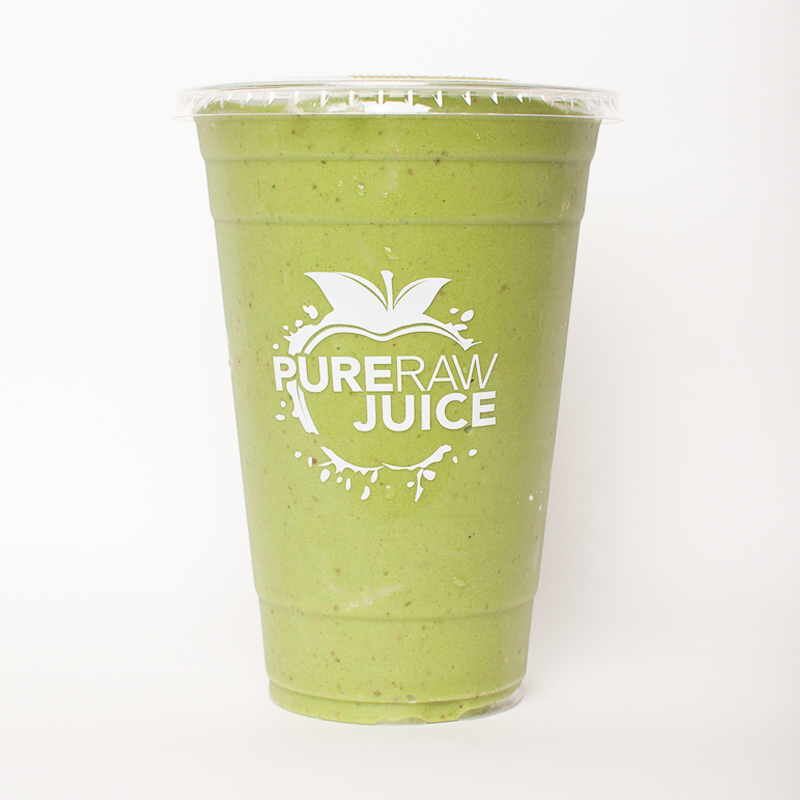 When you do a Pure Raw Juice Cleanse you fill your body with nourishing raw, nutrient dense, cold-pressed juices. Your digestive system enjoys a rest from solid food and your body more easily flushes out the bad and re-builds anew. The potential health benefits of doing a juice cleanse are limitless . . .
A healthy lifestyle is the foundation for a healthy body and mind. Cleansing with pure juices packed with vitamins, minerals, and detoxifying antioxidants is a great way to reset, restore and re-build your health. Acai (ah-sigh-ee) is a deep purple berry from the Amazon Rainforest in Brazil and is one of the most nutritious foods on Earth. 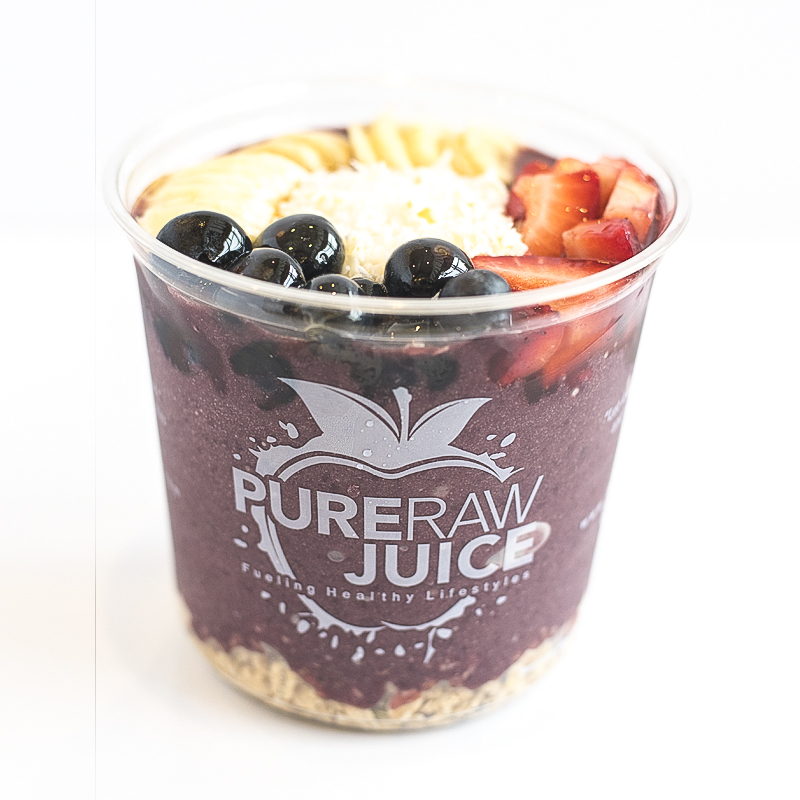 The acai berry is delicious and energizing and tastes like a blend of berries and chocolate. It has very high levels of antioxidants, vitamins, minerals and other compounds that act as anti-aging, anti-inflammatory and anti-cancer by virtue. 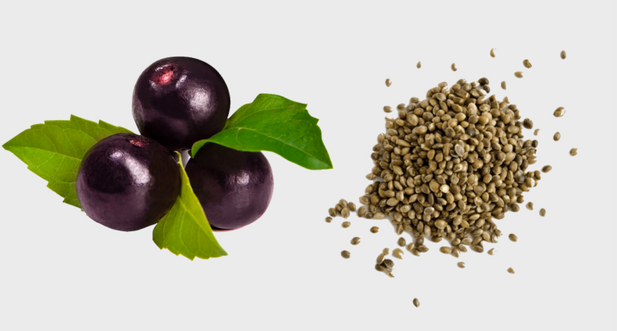 The acai berry is also rich in omega-9 and omega-6 fatty acids which help prevent heart disease and lower cholesterol among many other benefits. What is HPP and is it really RAW? HPP (High Pressure Processing) is a technique that uses high levels of pressure to inactivate / kill the microorganisms. These microorganisms are full of live enzymes and have good bacteria that we need. Bigger companies like mail to order juice cleanses and what you see in grocery stores use this to extend shelf up to 45 days! We do NOT use HPP and refuse to use any form of pasteurization. 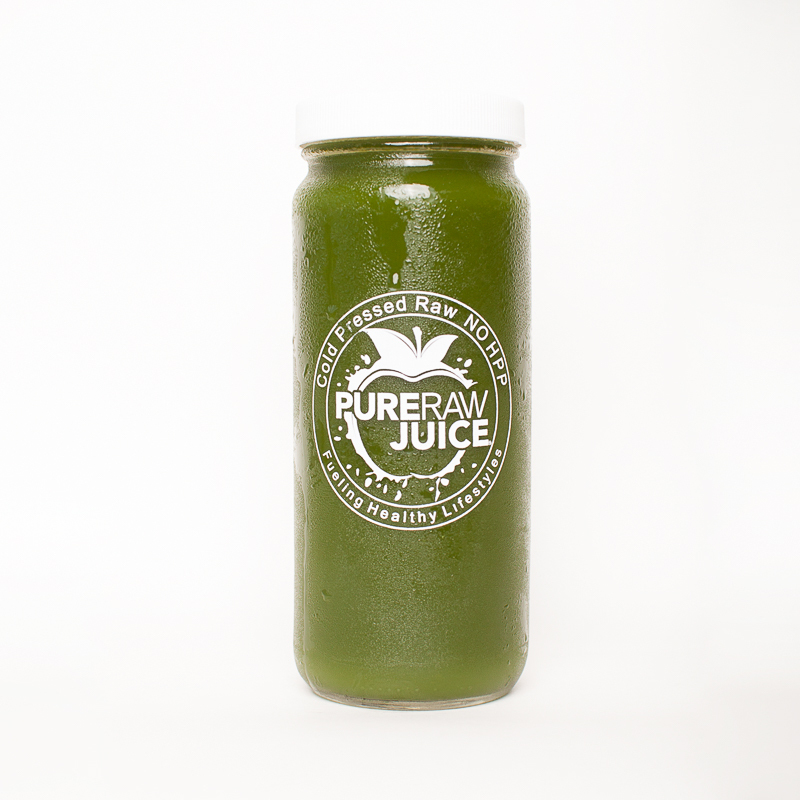 We put our 16 ounce juices in recyclable glass bottles. They are more expensive for us to purchase and maintain, but better for the environment. We do put a deposit on our bottles to encourage their return to us for future use. Receive a $0.50 credit per bottle or return 12 bottles at once for $8 of in-store credit on your purchase!